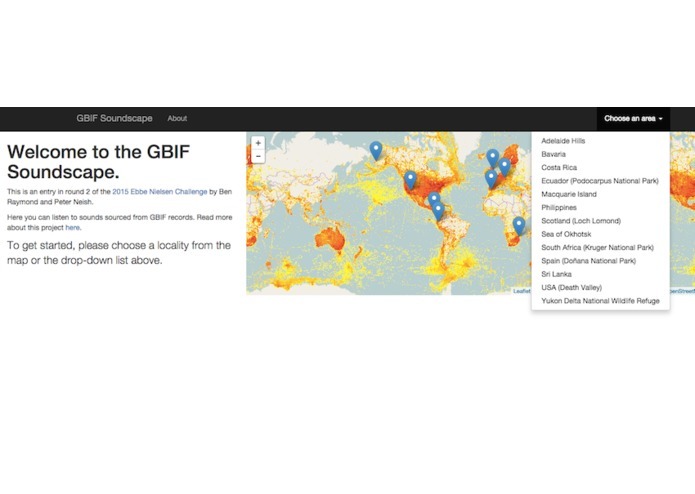 With the introduction of sound, images and video into the GBIF portal and API, we are able to use this facility to reconstruct the "soundscapes" of particular regions by compiling the bird and frog sounds from those regions. This round 2 entry builds upon our previous entry by incorporating more data and an almost completely re-written user interface. 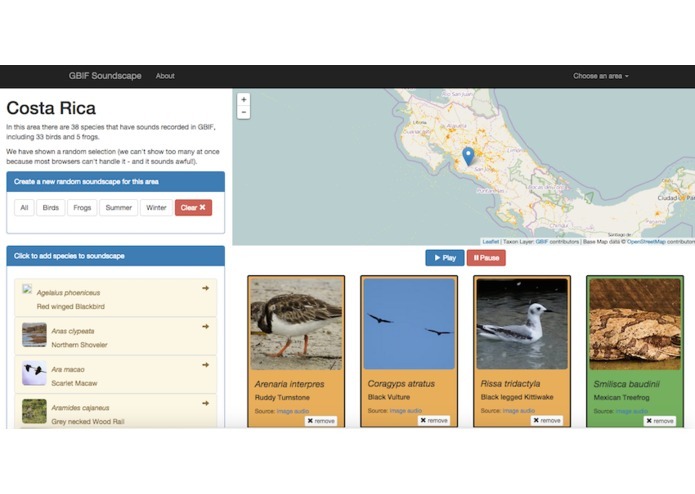 Users can now build their own soundscapes by adding and removing taxa through the site. Users can also generate soundscapes based on location, type of organism (bird or frog) and season (winter or summer).